This toddler shark costume includes a jumpsuit with attached feet and shark hood. 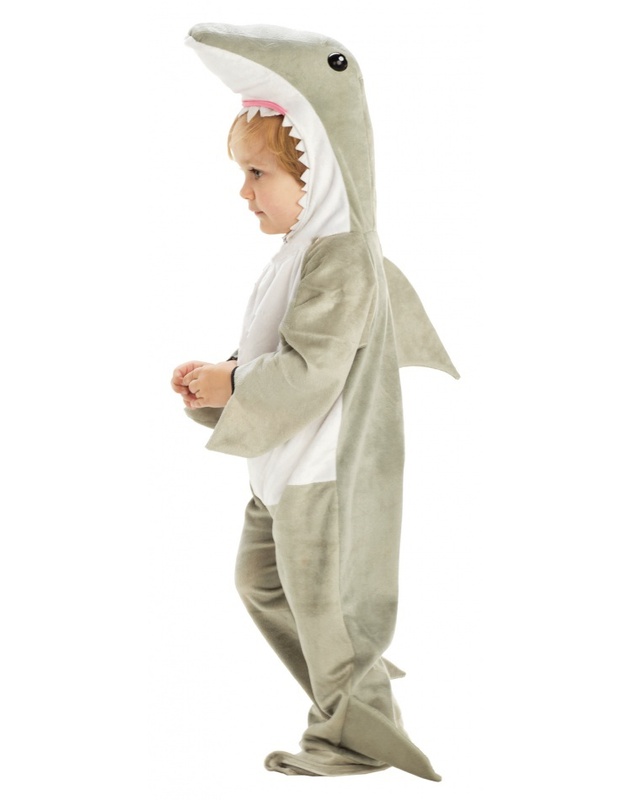 Our shark Halloween costume comes in sizes to fit baby, toddler and small kids. 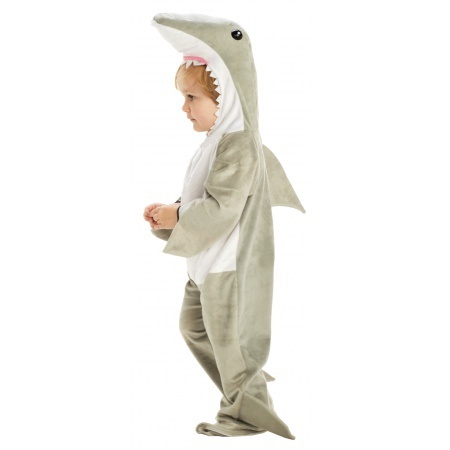 Our toddler shark costume comes in toddler sizes Medium, Large, X-Large, Small.